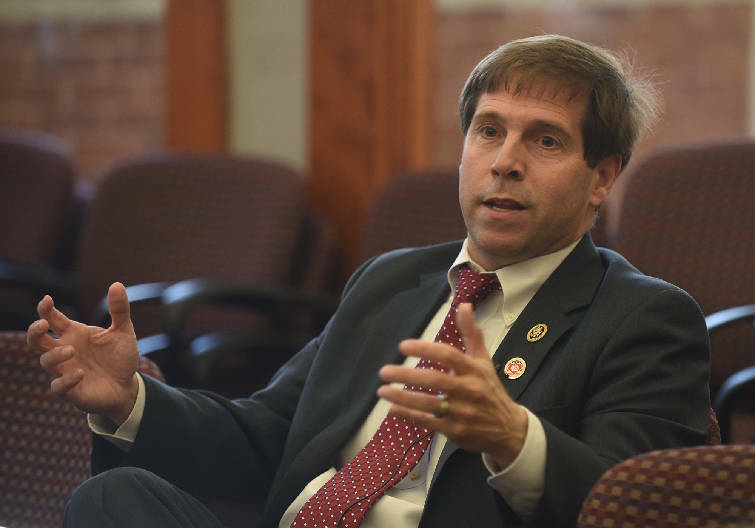 NASHVILLE -- When Republican U.S. Rep. Chuck Fleischmann of Chattanooga arrived in Northeast Tennessee last week for a high-tech development group's conference, he quickly noticed an unexpectedly familiar face from home. There among attendees of the Tennessee Valley Corridor conference in Johnson City was Tennessee Senate Speaker Pro Tempore Bo Watson, of Hixson. Fleischmann may need to get used to seeing Watson's face over the next year or so -- that is, if the senator indeed decides to challenge Fleischmann in the 3rd Congressional District's August 2016 GOP primary. For now, Watson told Times Free Press editors and reporters last week, he's weighing his options and listening to people in the 11-county district, which stretches from Chattanooga up through Oak Ridge and over to Scott County. "There's a lot to consider," Watson said last week. "I know that because I drove through [the district]. And it just has some challenges to it." Basic considerations include whether Watson believes he can bring something new to the table; how people feel about Fleischmann, who's faced close contests in his three prior primaries, and the tough task task of taking on an incumbent. "I'm fairly deliberative and logical, which sometimes gets in the way of the legislative process," Watson said. "But I don't just jump in because it's the popular thing to do or because people are telling me they don't like somebody for this reason, they don't like somebody for that reason. "It would be because I truly believe I could be effective, No. 1, and because I could make a significant difference beyond what Chuck has been able to do." And, he added, "I'm not where I could actually, honestly say that. And then, if I could and I do believe that, then at the end of the day it ultimately comes down to, can you raise the necessary resources. Because if an incumbent raises a million, you're going to have to raise $1.5 million. You just are." Few incumbent congressmen lose, Watson said. In Tennessee's 3rd District there have been only two in the past century: In 1962, Democrat James B. Frazier lost the Democratic primary to Wilkes T. Thrasher Jr., who then lost the general election to Republican Bill Brock. And in 1974, Republican Lamar Baker lost to Democrat Marilyn Lloyd. 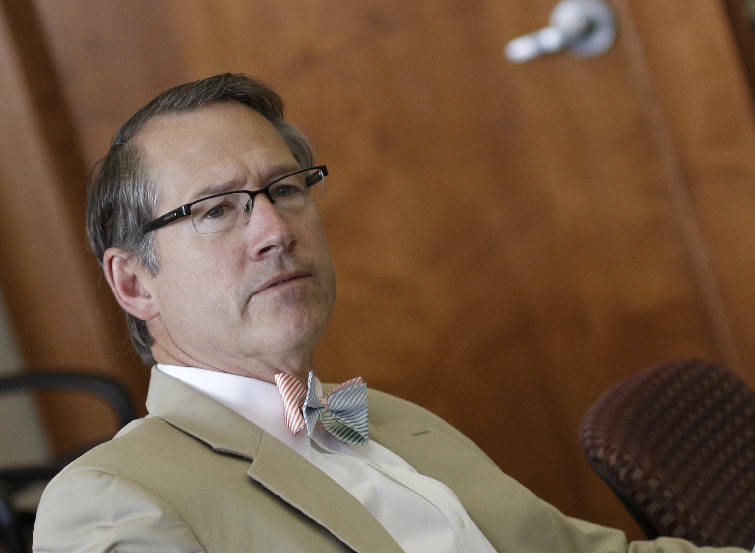 Watson said he's also considering what it would be like to sacrifice his top appointed Senate leadership post in Nashville to begin life on the bottom rung of the Washington ladder should he challenge Fleischmann and win. Fleischmann said he and Watson had "a good sit-down" at the Tennessee Valley Corridor conference. "Sat down and had a great time. He's a friend." After two slim primary victories in 2012 and 2014, Fleischmann said, "the best way for me to get re-elected, to win Republican primaries and then the general, is just to go out and do my job every day." "Even my past primary opponents never really had either a philosophical difference with me or hit me on my voting record," Fleischmann continued. With opponents including Weston Wamp, son of former 3rd District congressman Zach Wamp, it "was always more of them wanting to be in Congress." He thinks it might be the same for Watson who, he said, " endorsed me the past few times." Fleischmann has already begun raising campaign cash. A Chattanooga fundraiser last week that featured U.S. House Majority Leader Kevin McCarthy pulled in more than $400,000, he said. Watson said voters who talk go him "have different opinions" about whether Fleischmann has been effective in Congress. Asked his own thoughts on Fleischmann 's effectiveness, Watson said, "I think Chuck has done what Chuck's been asked to do. And Chuck and I, again, are friends. He's my federal representative." Meanwhile, he cited his own 11 years at the state Capitol, saying he and fellow Hamilton County delegation members have been fairly effective in areas from a revamped school funding formula to road construction. Hamilton County, he said, got 52 percent of available new construction dollars in one recent year. As vice chairman of the Senate Finance Committee, Watson said, he's helped balance state budgets. He noted he's also learned first-hand about Washington's impact on states. Serving in Congress would help provide "the ability to relieve the burden the federal government often puts on our back," he added. Asked whether he sees Fleischmann as a leader, Watson took a long pause. "People have different styles of leadership. I think Chuck has done a good job at associating himself with leadership. Now, how that equates out is one's opinion." But, Watson noted, McCarthy came to town for Fleischmann's fundraiser, and Fleischmann backed House Speaker John Boehner for another term in his most recent leadership race. "Some of your ability to be effective is not whether you're in the inner circle but whether you have access to the inner circle and whether you utilize that access or not," he said. During last year's primary, Weston Wamp attacked Fleischmann for failing to keep funding going for a new lock at Chickamauga Dam. Days after the November contest, Fleischmann was named vice chair of the House Appropriations Subcommittee on Energy and Water. The panel is influential in deciding funding for the U.S. Department of Energy, which affects Oak Ridge's major federal installations, as well as water projects. And the lock got a major boost this month when U.S. Sen. Lamar Alexander, R-Tenn., chairman of the Senate Water and Energy Subcommittee, got it included in a Senate spending plan. Tennessee Lt. Gov. Ron Ramsey, R-Blountville, the Senate speaker who named Watson to the pro tem post and appointed him vice chairman of both the health and finance committees, said the senator is a friend he has come to rely on. Watson's been "very, very effective in Nashville and does a fantastic job as speaker pro tem," Ramsey said. Ramsey's fundraising prowess is legendary. He helped then-state Sen. Diane Black, R-Tenn., in her successful 2010 congressional race and also helped fuel a bid by state Sen. Jim Tracy, R-Shelbyville, whose bid to unseat U.S. Rep. Scott DesJarlais came up short by just 38 votes. "If [Watson] ran, absolutely I would help him," Ramsey said. But, he added, "selfishly, I hope he doesn't." "I think someone like Bo who's used to getting things done would be a little bit frustrated in Washington. I know he's literally been praying about this, thinking about this and ... hasn't made his mind up yet." Former Republican state Rep. Bobby Wood, of Harrison, is firmly in Fleischmann's camp. "I think he really does try to vote the will of the people," Wood said of Fleischmann. "And I don't think his voting record can be disputed. And he's at last, along with Alexander, got something going on Chickamauga Lock." He believes Fleischmann has now "worked himself to the place now where he can do something good for the country and for Hamilton County and the 3rd District."